This is for a shroud or bullbarrel made by Huub in the Netherlands. They will fit BSA PCP rifles that have a 15" barrel like the R-10, Scorpion, Scorpion SE but not the very early low breech single shot rifles. Barrels are measured from the breech (magazine slot) to the muzzle. 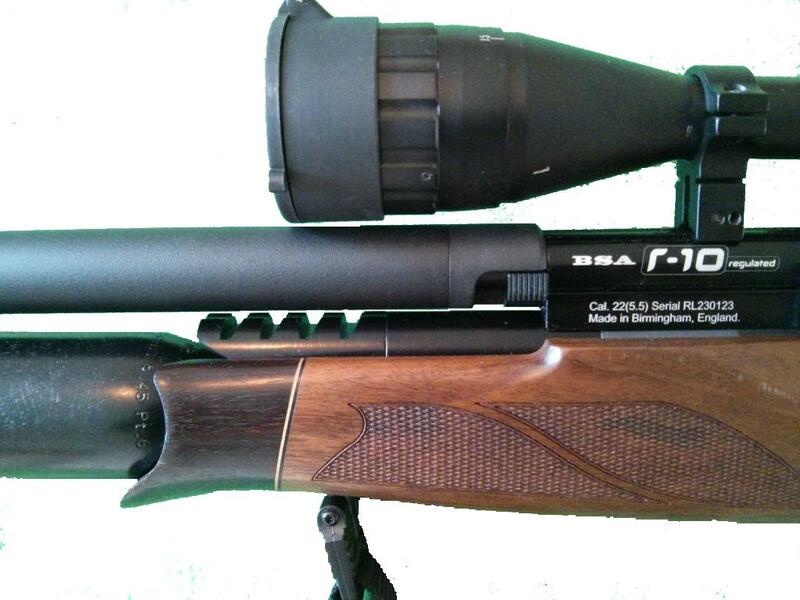 15" BSA barrels usually have 3" inside the breech block and 12" sticking out of the breech block. They are made from aluminium, which is then sand blasted and powder coated black which gives it a nice textured matt finish. They extend roughly 140mm (5.5") past the end of the barrel as standard, they are roughly 460mm (18") long overall, they are 27mm outside diameter and contain baffles and a reflex bush that allows that area over the barrel to be used as an expansion chamber (which makes them quieter). 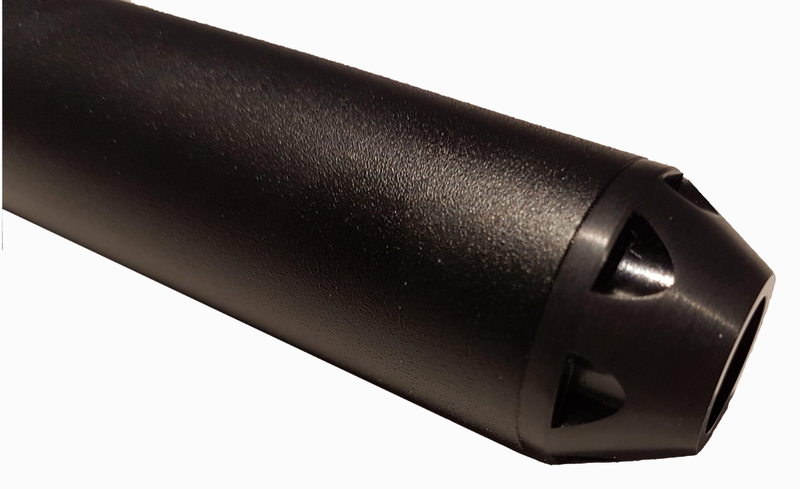 There is no provision for an additional/external silencer/moderator but you should not need one because the shroud is very effective at quietening the muzzle report. A rifle barrel length is measured from the breech (where the pellet goes into the barrel - magazine slot on a BSA) to the muzzle (where the pellet comes out, excluding any silencers/strippers/muzzle weights etc). If you have a 12" barrel please see the other shroud options in the eShop. 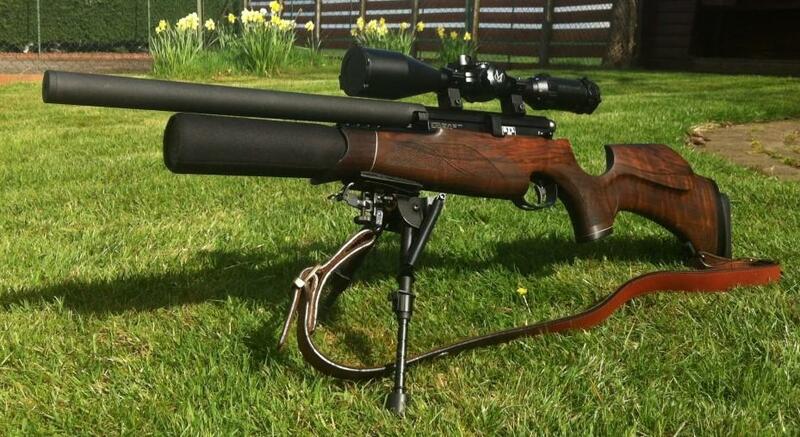 If you have a single shot rifle and you would prefer a shroud without the magazine catch cut-out please get in touch, I can special order one for you. 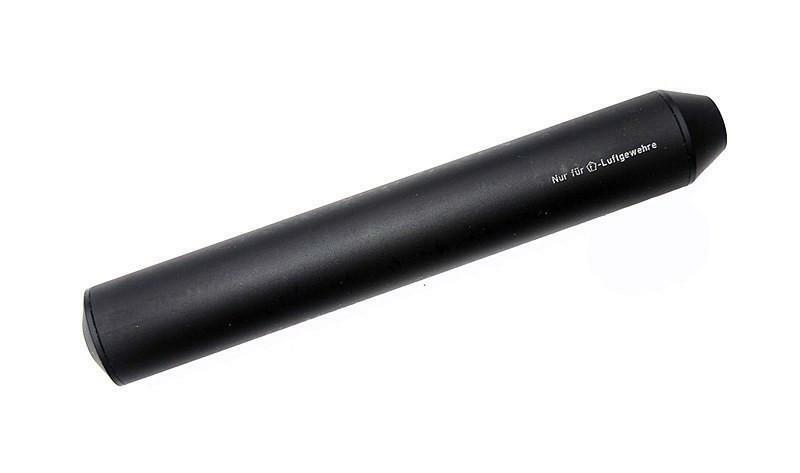 PLEASE NOTE: This version is only for barrels that are threaded for a silencer, the thread is needed to allow the reflex adaptor to fit to the barrel. A version for non-threaded barrels is not currently available. The rifles in the pictures are shown for illustration only, you are paying for a shroud, not a rifle. If you have an FAC/Export rifle there is a good chance your barrel is 18.5" and not 15", these will not fit your rifle. As the purchasing party you are responsible for checking that this product is legal according to your local laws and regulations. We ship on your behalf and therefore XTX Air cannot be held responsible for any legal issues in the country of the recipient.